It's that time of year when the quarterly financial results are revealed and latest to step up to the plate is Microsoft, reporting a record financial quarter with earnings in excess of $16 billion (£10.46 billion) for the quarter that ended on June 30 this year. Microsoft's quarterly revenue was up 22 per cent on the same quarter last year and its yearly revenue of $62.48 billion was up 7 per cent on last year, both record financial results for the company. 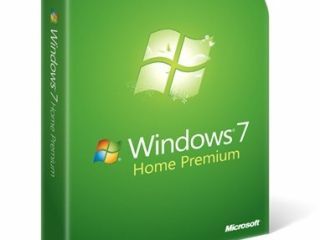 The company has sold 175 million Windows 7 licenses to date, with seven per cent more OS licenses sold than PCs, which means that plenty of people with older machines running XP or Vista have chosen to upgrade their OS instead of investing in a new PC. Microsoft also noted that emerging markets such as India and China are largely responsible for the boost in Windows's 7's growth over the last year. The Xbox division has continued to perform well, with over 1.5 million games consoles sold throughout the quarter and Xbox Live subscribers now totally over 25 million worldwide. "This quarter's record revenue reflects the breadth of our offerings and our continued product momentum," said Peter Klein, chief financial officer. "The revenue growth, combined with our ongoing cost discipline, helped us achieve another quarter of margin expansion." "We saw strong sales execution across all of our businesses, particularly in the enterprise with Windows 7 and Office 2010," said Kevin Turner, chief operating officer. "Our transition to cloud services is well underway with offerings like Windows Azure and our Business Productivity Online Services, and we look forward to continuing our product momentum this fall with the upcoming launches of Windows Phone 7 and Xbox Kinect."